If this text box is covering the image then hold down your ctrl key and tap your - key to make it smaller and the + key to make it larger. Hi and congratulations on having a First Communicant this year! What an exciting time for your child and your family! Private session with print choices. Order of $100 or more receive (1) favorite retouched digital file. $150 or more (2) retouched files. Private session plus (4) 8x12 professionally retouched and enhanced digital files - $150 plus tax. 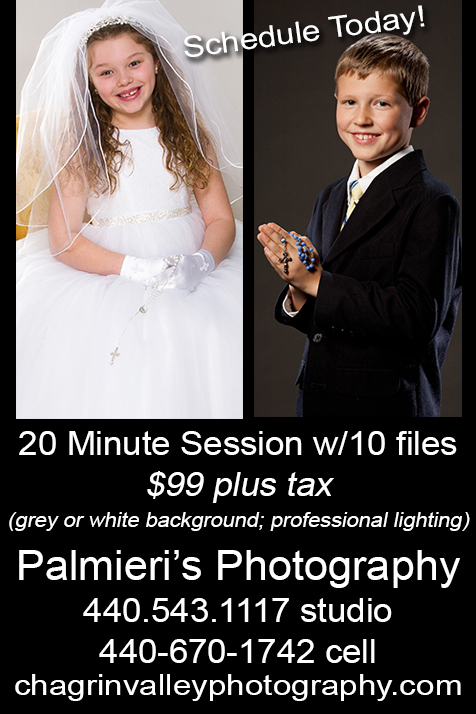 Private session plus 10 edited 8x12 files (corrected for proper color and proper brightness) - $99 plus tax. 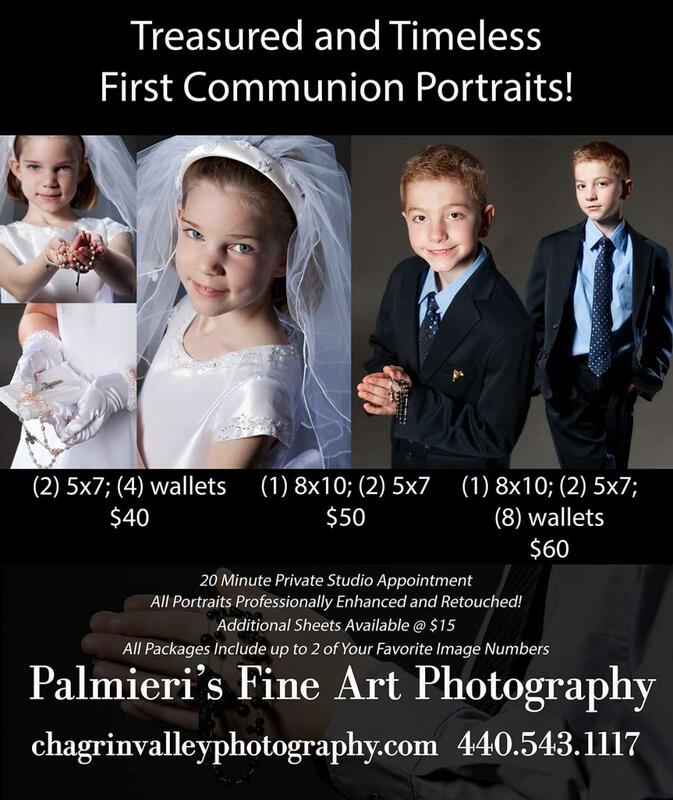 For Avon Lake St. Joseph's parents, so that you may have a beautiful heirloom to remember this day by, and since you can't see your child's face at the moment they receive their First Communion, I capture that moment for you. Please download and complete the form (if you don't have one already) and mail it to the address on the top of the form. I'm offering the ability to own the digital file if your order comes to at least $75. If your portrait order is under $75 then just make an additional payment for the difference and I'll email you the file. Congratulations again and looking forward to hearing from you!